Sunset over Lick Observatory with open domes. Photo by Laurie Hatch. Our new "behind the scenes" style 4 - 6 hour walking tour of Lick Observatory will start at the main building's Visitor Center. An astronomer based on Mount Hamilton will be the main guide for the evening. Participants can learn about the unique history of the world’s first permanently occupied mountaintop observatory, the eccentric California pioneer James Lick, technology used for observing on different telescopes along the tour route, and current science being conducted at Lick Observatory. A highlight of the tour will be visiting the dome of the 3-meter Shane Telescope to see the mountain’s largest telescope up close. After the walking tour, there will be an opportunity to enjoy the sunset, and the Gift Shop will be open. During twilight, a history lecture about James Lick and the construction of the observatory will be presented. Once the sky is dark (and weather permitting), viewing celestial objects through the historic 36-inch Great Refractor telescope will commence. Insights will be provided throughout the evening on how we find planets beyond our solar system, how exploding stars teach us about the evolution of the universe, how we discern the nature of galaxies and black holes, how new technologies are used to undo the blurring effects of Earth’s atmosphere, and about Lick Observatory’s rich astronomical history and bright scientific future. Complimentary coffee, tea, and hot chocolate are included with the tour. The event will last approximately 4 to 6 hours. For safety reasons and due to late hours, children under the age of 8 cannot participate; this event is recommended for ages 12 years and up. Visitors should be prepared to walk about one mile during the evening, including taking stairs. Events are held rain or shine. Weather may restrict telescope viewings, but other activities will still take place. Due to historic construction of telescope domes and safety concerns, the telescopes are not wheelchair accessible at this time. Those having difficulty navigating stairs may also find the telescopes inaccessible. Tickets are priced at $75 per person (capacity of max. 42 people on each tour), available starting April 17th at noon on ucsctickets.com. The tours are expected to sell out quickly. The Public Evening Tour is typically offered Sunday and Thursday evenings throughout the summer months to accommodate a variety of people’s schedules. Tickets for the Public Evening Tours will be available to the general public through the UCSC Ticketing Website. Limit of four tickets per customer, $ 75.00 per person. Tickets are expected to sell out fast, there is a limit of max. 40 visitors per tour due to safety considerations. 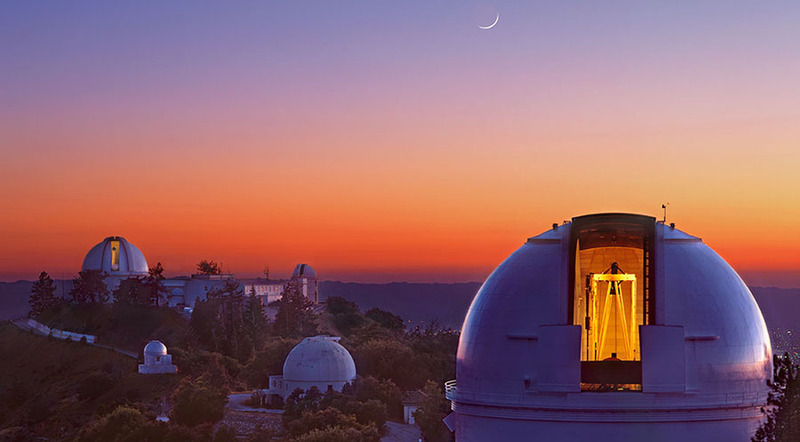 Please note: Public Evening Tours will NOT be sold during the Friends of Lick Observatory pre-sale. Due to safety regulations, children must be at least 8 years of age for admission and accompanied by an adult. Due to late program hours, the program may be difficult for children under 12. Please note: Due to historic construction of the telescope domes, the 36-inch Refractor and the 3-m Shane telescopes are not wheelchair accessible at this time. Please allow a one-hour drive from San Jose. The road is good, but windy. The event typically lasts between 4 and 6 hours; prepare to drive home late in the evening. There are no automative services or gas stations for 20 miles, so please plan ahead. See more information on driving directions and parking here.